Asking what mild steel is used for is a a strange question, since it can be found just about everywhere! This is hardly surprising for a metal that' so versatile, cost-effective and easy to manufacture, with the end product being neither extremely brittle nor ductile thanks to a low carbon content (up to 0.3%). With an almost limitless potential in terms of possible end-products, we thought we'd use this entry of the Austen Knapman blog to explore some of the more common, everyday contemporary uses of mild steel - from agriculture to the heavy machinery industry - and why mild steel is such a good fit for them. 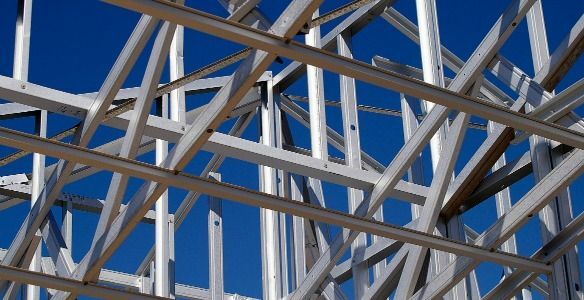 Mild steel, with its unique properties not found in wood or anything else, is an inseparable partner when it comes to building construction. Mild steel is highly favoured as a building frame material thanks to it's incredibly high strength; in fact if you attached a bar of the stuff to your ceiling you could hang 20,000kg from it - the equivalent of 18 Honda's or one and a half London buses (double-deckers too). For construction use in particular, mild steel is also advantageous because it meets strict seismic or wind requirements, cannot be damaged by insects and is impervious to both rot and fire. Lest we forget, steel (in its most basic form) is a combination of iron and carbon. These elements can be combined in a variety of ways to reach the desired ratio of strength, ductility and hardness, which might go far to explain why this metal, particularly the malleable mild steel, is so favoured for machine part manufacturing. Cast steel car parts, for example, are better suited to welding because they do not suffer the same molecular changes as forged pieces when they are reheated. They furthermore save countless hours of machining, forging and heat treatment as they require only the most minor of final shaping once cooled. Whilst a lot of everyday cookware, particularly knives, is known for being more in the dominion of stainless steel, more and more in the culinary community are coming to love the lavish qualities of carbon steel cookware. For chefs and food scientists alike, there are many advantages in mild steel that overcome it's ability to rust; it can hold an edge and stay sharper longer, has a higher temperature limit and is essentially a non-stick material once seasoned. Whilst mild steel cookware does require a bit more care and attention, it's perhaps a good exercise for those who need to learn to respect and savour their kitchen collection of tools so that they get the highest level of performance. The exceptional ductility of our galvanised mild steel tubes has made them popular for use as poles and pipes that can withstand the weather and other consequences of the outdoors. 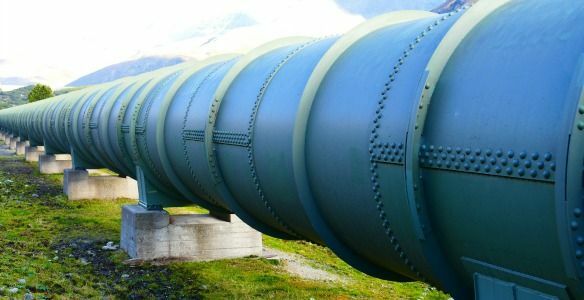 If you expand this potential, it's no wonder why mild steel pipelines are the standard choice for transporting water, natural gas and even beer! Mild steel allows these pipes to be easily welded into place, but also lets it flex and avoid cracking and breaking under pressure. Typically in cold climates, to ensure the cold and warmth cycling in the pipe doesn't create structural integrity problems, it is given an insulating material wrap for continued top performance. Our last modern use of mild steel is something actually quite traditional, yet it is something that has also benefited immensely from today's equipment and welding techniques. For the sake of beauty and character, metal gating and fencing has always required a strong balance between strength itself and a visually appealing design, and mild steel lends itself to both. It is strong and difficult to break (unlike cast iron), it it can be painted to produce a long-lasting, low maintenance decorative finish and it can be galvanized to prevent corrosion. Whether by hand or by modern machine, mild steel can be easily forged in a variety of shapes to meet even the most specific of designs.